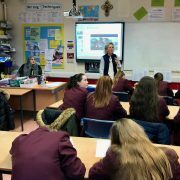 Last week Racing to School was at Maricourt High School in Merseyside to run a careers activity day for Year 9 pupils, as part of the Racing Foundation-funded Aintree Beacon Programme, which is run in conjunction with Aintree Racecourse. The Beacon was set up with the initial goal of offering long-term education and careers provision for local pupils in Year 5 right through to Year 13, with participation in several activities and events. Alongside growing young people’s self-confidence and core educational goals, these activities offer practical knowledge of the horseracing industry and its career routes. 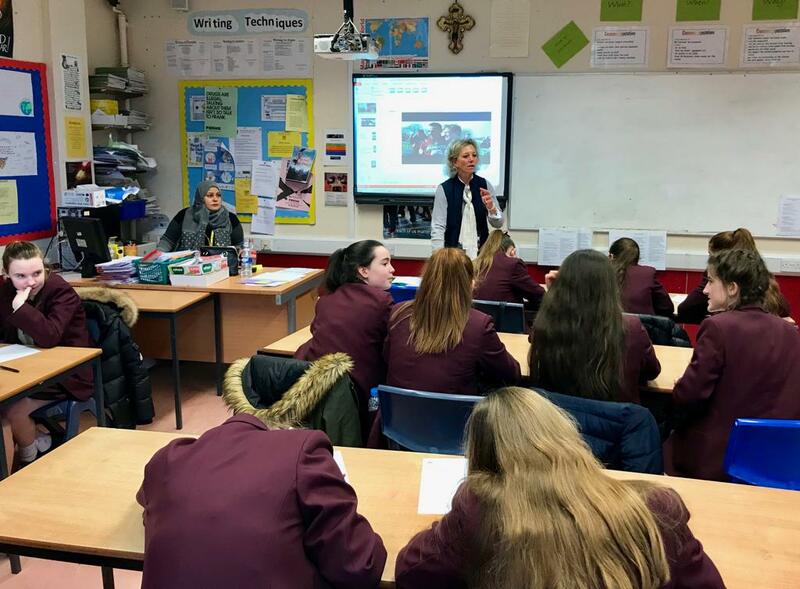 Friday’s event saw talks from staff from Aintree Racecourse, as well as Racing to School’s Carrie Ford, about the kinds of career paths available within the racing industry, and specifically at Aintree Racecourse, which falls within Maricourt’s catchment area. “Aintree is part of our catchment area, so they’re very much part of our school community and the opportunities that are afforded by Racing to School have been wonderful. We are extremely grateful to the Racing Foundation for their continued support of the project, and to Aintree Racecourse for all of their assistance and enthusiasm.